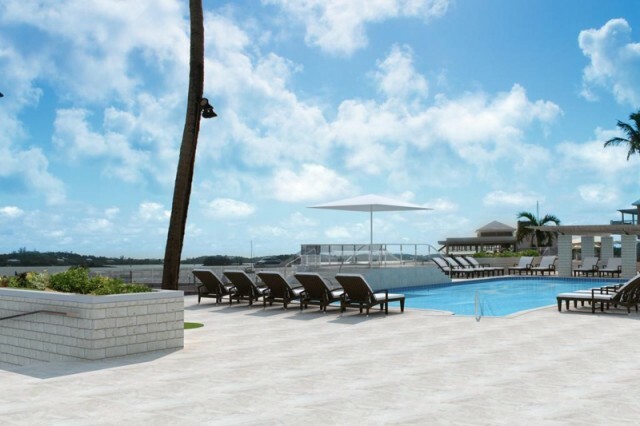 Bermuda’s Hamilton Princess hotel has announced the start of phase three of its $100 million renovations, including the incorporation of a new spa with indoor and outdoor space, gym with updated lap pool, new retail corridor, large outdoor terrace for the Trudeau Ballroom, new Gold Lounge, and remodeling of the Gold Wing Suites. 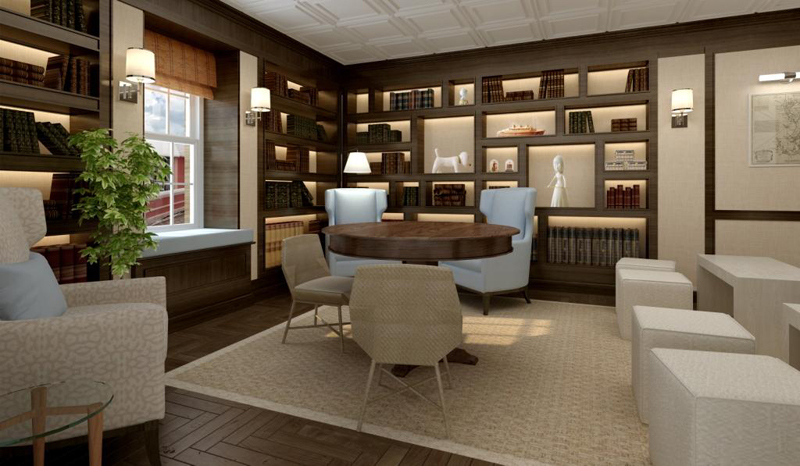 The project began in 2013 and has been completed in stages to limit disruption to hotel guests. Work on this third and final phase will begin on November 1. As a result of the renovations, nearly 100 construction jobs will be created over a six-month period. 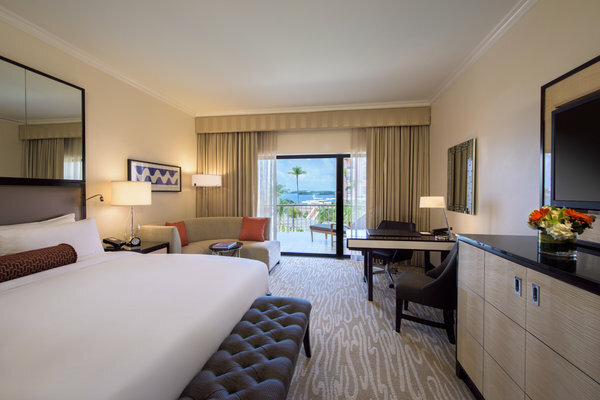 The extensive renovation project repositions the hotel as the Island’s premier leisure and business travel destination. The upgrades, designed by Botelho Wood Architects, highlight the property’s spectacular views, convenient location and beautiful historic assets, while offering modern and luxurious accommodations and amenities. The major component of phase three is a new spa and gym, located in what was formerly Harley’s. 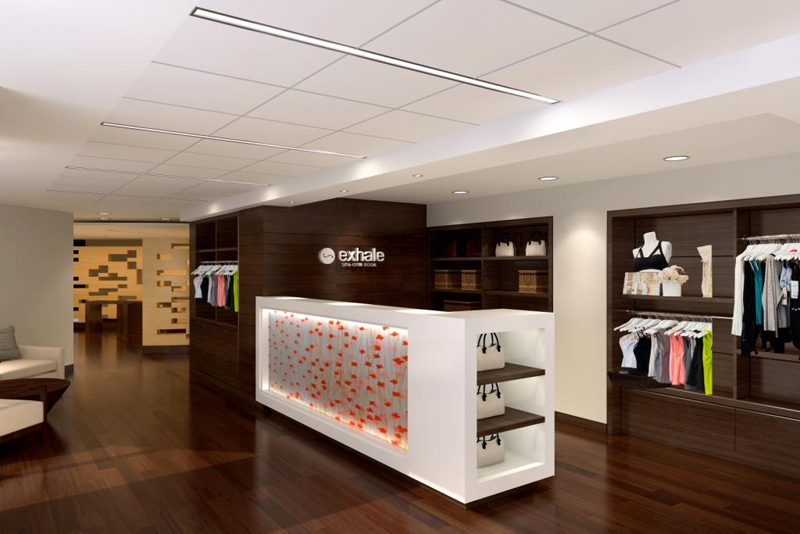 The hotel has teamed up with exhale spa, an award-winning spa team from New York City, to design a clean, bright and peaceful 5,400 square foot spa. 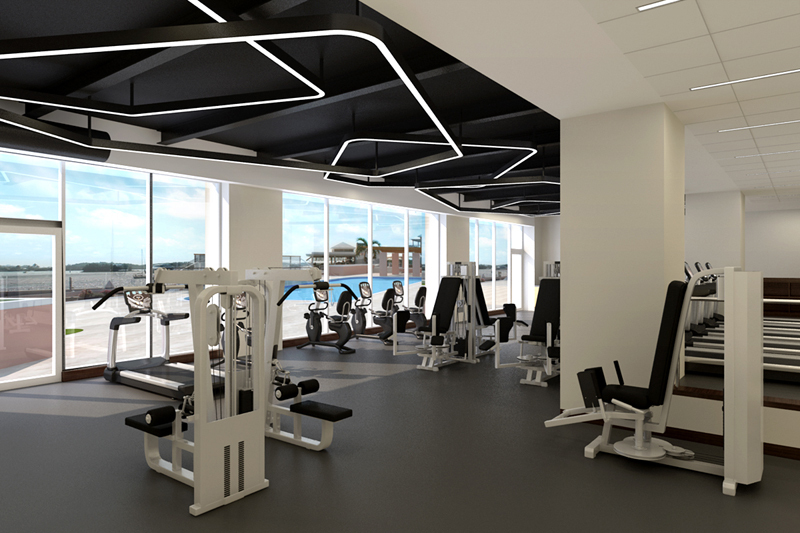 The space will offer nine treatment rooms, a studio for group instruction such as yoga and barre, and uninterrupted views of Hamilton Harbour. The spa experience will continue outside to a new poolside pergola for outdoor classes and activities, next to a renovated lap pool that will be accessed through the gym. The adjacent new gym facility will spread over 2,150 square feet on two levels with a view of the pool area. State-of-the-art equipment from Technogym will offer free weights, benches and cardio equipment in a workout friendly atmosphere. The gym will be available for use by hotel guests as part of their stay. Another major element of phase three includes expanded and renovated retail space. Three new retail zones covering 7,000 square feet will feature increased space for additional shops, improved store frontage and a wider corridor, all contributing to a more upscale shopping experience. The roof of the new retail space will become a sweeping 2,000 square foot terrace with beautiful views. The terrace will lead straight out of the Trudeau Ballroom [formerly Fairmont Gold Lounge] to provide outdoor space for the elegant event room. The old Harbourview Suite will be renovated to officially become a comfortable and chic Fairmont Gold Lounge. Gold Lounge guests will be able to enjoy the spectacular views across the harbour that are available in this exclusive setting. 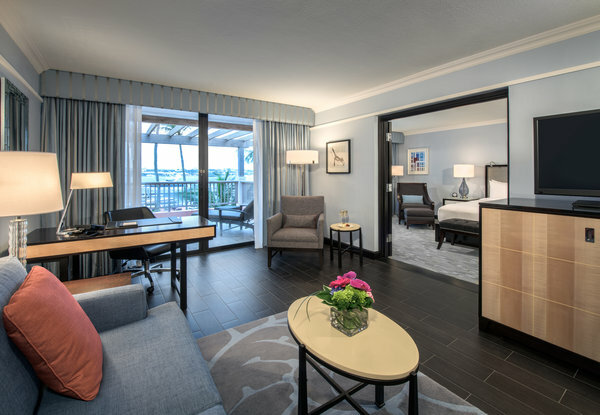 The Gold Wing suites will also receive floor to ceiling upgrades, including furniture, fixtures, equipment, wireless internet, audio/visual features, modern décor and luxurious bathrooms. These 11 suites offer some of the best views on the property. Additional upgrades throughout the hotel include fresh new furniture in the lobby, AC unit upgrades in various areas throughout the property, additional guestroom enhancements and a new bathroom block near the Trudeau Ballroom. Earlier phases of the renovation project have included the transformation of the pool into a contemporary resort pool area, major guestroom renovations, the addition of a state-of-the-art marina, upgrades to mechanical and electrical infrastructures, the introduction of 1609 and the Marcus Samuelsson signature restaurant, a major overhaul to the central courtyard and renovations to Crown & Anchor. 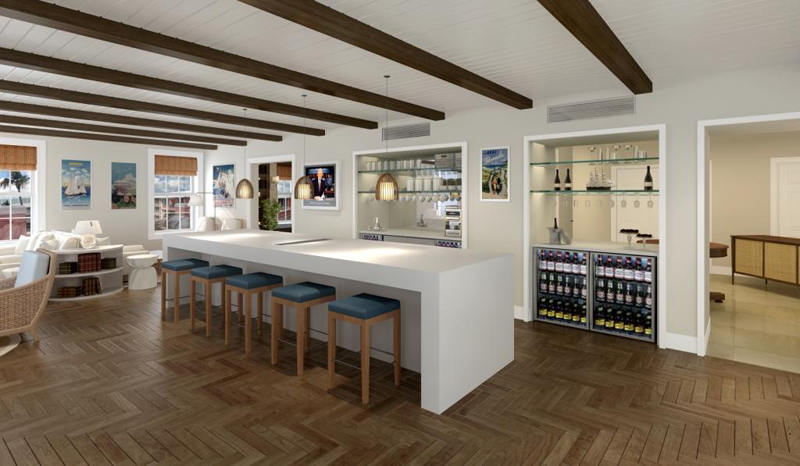 “We are eager to continue work on our major renovation project this November,” says Allan Federer, General Manager of the Hamilton Princess, Bermuda. The renovations are scheduled for completion in time for the summer 2016 tourist season. For more information about the Hamilton Princess and the island’s many other hotels, click here. For the latest Bermuda hotel news, click here.